LOCATION: west side of Deerview Lane (TR-160); north of Wedgewood Rd. (SR-162); on the north side of the railroad tracks by some large pine trees. The Medina County Home, known then as the Medina County Infirmary, was established in February of 1855. The first of the residents, who were referred to in those days as `inmates’, was Charles Olcott of Medina Village who was admitted on February 5, 1855 at the age of sixty-one years. He was by all accounts an educated man – being a member of the bar and a former Prosecuting Attorney for the county. The inventor of the iron steam ship, he was eventually beset by misfortune and, like so many others after him, ended up at the County Home. They were admitted as paupers – with no funds and no place to go. Some were admitted as `insane’ or `idiotic’ – taken in shouldering the burden and stigma of mental illness in a much less enlightened time. Still a good many others were simply older people who had been taken to the Home to live out their final years under proper care and quiet. The injured, the sick, the unwed mothers, and transients would come and go. Like most county homes, Medina County’s had a cemetery which would serve as the final resting place for its residents. Those who passed away and had neither family to retrieve their bodies nor funds for burials elsewhere were placed in a wooden casket made there on the farm and taken just up the road. A plot in the infirmary cemetery wasn’t exclusively reserved for its residents. Graves are known to be occupied by stillborn infants, laborers and transients who died unexpectedly, and some who were found and buried there without a name. The railroad was put through the cemetery in 1903 – probably in the literal sense. The cemetery certainly wasn’t laid out in its current triangular shape and one has to wonder how many, if any, graves had the tracks laid over them. If that were the case, there could also be graves on the west side of the tracks in the field. Graves certainly could have been moved as well… but it is not known either way. Note that the deed makes no reference to the cemetery through which the railroad was being built. The cemetery would have gone into use not long after the infirmary opened. Expense reports reveal burials were made at least as early as 1860. Infirmary records for any period show a fairly steady number of deaths which is to be expected – much like a hospital. This cemetery was not laid out with any reserved graves or purchased lots such as what you would find in most public cemeteries. Because of this, one could assume that graves were probably done in rows; one grave right after the other. The only known map of the cemetery shows filled rows of graves in the front of the cemetery by the road. Perhaps the cemetery was started in the front and gradually moved back away from the road. So far as is known there were no grave markers ever used at this cemetery. The pine trees in the cemetery were planted by former superintendent Myron Barth. Interestingly, the road running past the cemetery – Deerview Lane – used to be called Infirmary Rd. Burying residents was, apparently, sometimes the job for the infirmary superintendent. John Ewing was the Infirmary Superintendent from at least 1909 to February of 1919. During his tenure, he can be found listed as the `acting undertaker’ on the death certificates of about twenty County Home residents. Whether or not other superintendents were involved in such duties is not known but, following Ewing, no other superintendent is listed as such. When Myron Barth became infirmary superintendent in 1944 the cemetery began to be phased out of use. Only two county home residents would be buried in the cemetery during Barth’s tenure: George Bond and Ben Shade in 1947. Five others, all non-residents, would be buried in the cemetery between 1944 and 1950. The reasons for discontinuing burials in the cemetery aren’t known with any certainty. It has been suggested that burials were discontinued because Myron Barth deemed it an inappropriate final resting place. It is also possible that the cemetery ceased to be used at that point because the cemetery was either determined to be full or that the records were lost. 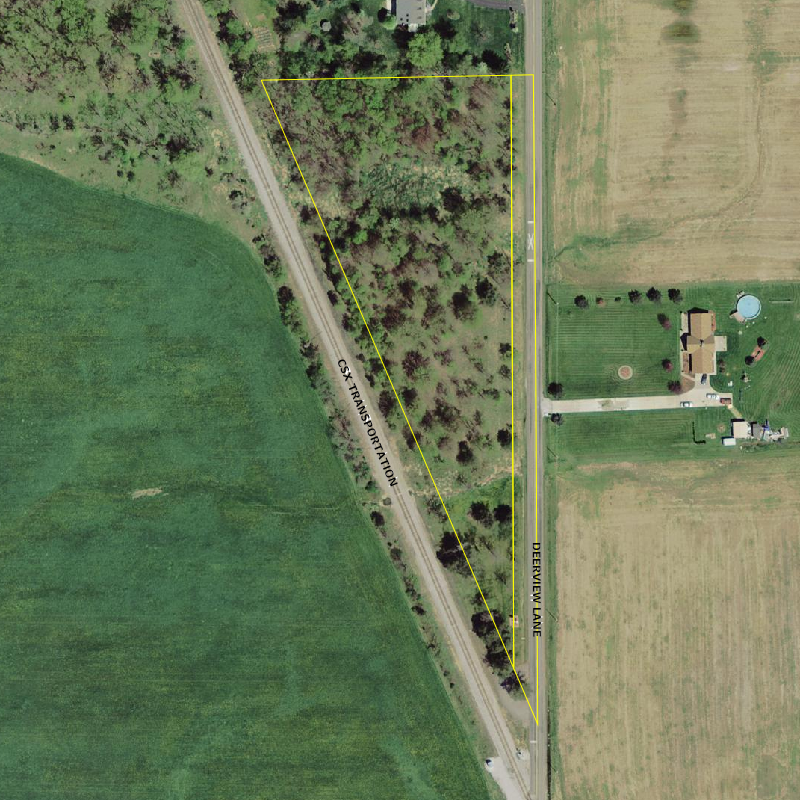 The land was acquired by the Medina County Park District in 1991; though it was just another piece of land and not even recognizable as a cemetery by then. By the year 2000 the grounds were completely grown over with trees and poison ivy; the cemetery was nothing more than a whisper among old-timers. In 2006 that began to change as a number of local residents expressed an interest in cleaning up the cemetery and did just that. A large section of the parcel was cleared of brush, trees were cut down, and truckloads of debris were hauled away. A sign was erected to mark the site for the first time. There are only two burials of military veterans known to have been made in this cemetery. John Rapp was a soldier under Napoleon. The other, Albert Baxter, is listed as having served in the military on his death certificate although further details could not be located. Rumors also exist of Confederate labor being buried there. No official burial records exist for this cemetery. 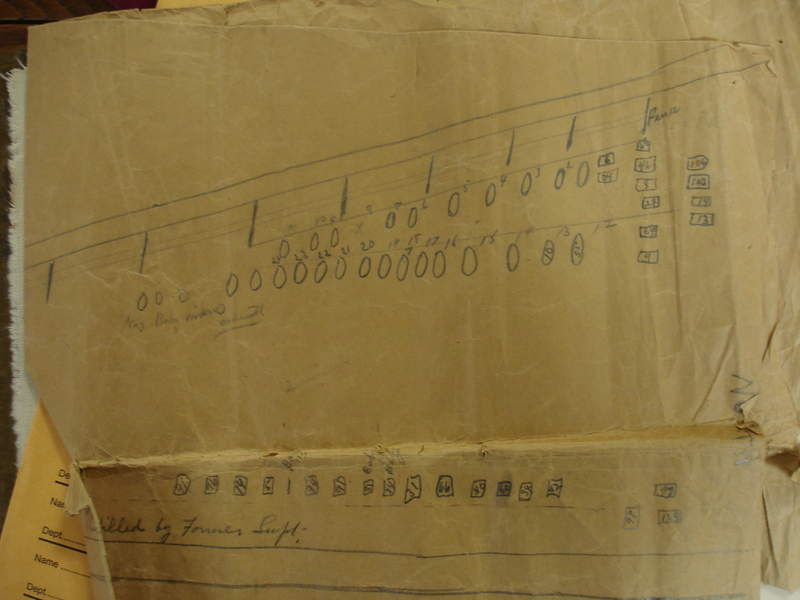 A crudely drawn map was found in county records and shows that some burials were made but little else. No official list of interments has been found and no key has been located to make sense of the numbers assigned to the graves on the map. The map was drawn up sometime after 1903 as it shows the railroad tracks. It shows that there was once a fence on the back side of the cemetery by those tracks. The map shows about sixty graves with some being numbered and three that are marked `baby’. The numbering goes in order for some rows and for others the numbering is sporadic. There is some duplication of a few numbers and the highest number is 109. Most of these graves follow a traditional burial layout – with rows running north-south and bodies laid facing from west to east. There are a few graves on the north end of the map which are shown to be buried in east-west rows. A notation also states `These rows filled by former Supt.’ with regards to the front of the cemetery by the road. A register book exists that was started around 1909. In it can be found a record of every person admitted to the county home from that point up through the 1970’s. The book tells the person’s name, cause for being admitted, the date they were received, date of dismissal, and personal details such as dates of birth and death, etc. Very few of places of burial for the deceased are indicated and, of those, many were not buried in the County Home Cemetery. The book focuses more on details about the residents themselves and not the cemetery; for this reason there is also no information on `outsiders’ who were buried there. Curiously, no WPA survey was done for this cemetery even though the cemetery was still being used for burials at the time. In fact, this cemetery does not appear on a single atlas or map of the area. Due to this lack of records, burial information for the cemetery has been reconstructed using a variety of other sources. From 1867 to 1908 death records and obituaries were researched. Most County Home residents did not have obituaries and, of those who died, many did not tell where that individual was buried. Similarly, death records for this time period only tell where the person died and not where they were buried. County Home residents are listed as dying at the Infirmary and other possible candidates can be found where individuals marked as `paupers’ were only found dying in Lafayette Twp. From 1909 onward, death certificates and obituaries yielded information. Obituaries offered some clues while death certificates always indicated the place of burial. While a certain number of burials have been identified through these means, if one uses the years from 1909 to 1950 – when the most information is available – we find that there was an average of over two burials per year. There are only five years (1921, 1944, 1945, 1946, 1948) for which no burials are known to have occurred and four of those were during the time period when the cemetery was, apparently, being phased out of use. Using the average of just two per year and applying that number over the course of the cemetery’s possible lifespan (1855 to 1950) we get 192 burials (96 years x 2 burials per year).